PDX Bus - a free Open Source iPhone app for Portland bus and train times: Next version is waiting for Apple approval - new features! Next version is waiting for Apple approval - new features! 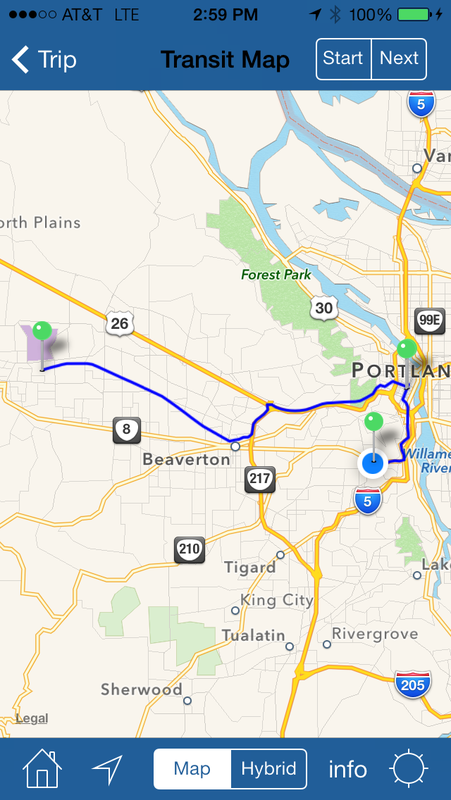 After weeks of testing I've uploaded yet another new version (3.5) of PDX Bus for Apple to approve. This time, with permission from TriMet, I have added an interactive rail map that can be used to choose stations instead of browsing the list. The only issue with this is that I'll need to update it whenever TriMet adds a new station or a new line, so it will get out of date sometimes, but I hope not very often. 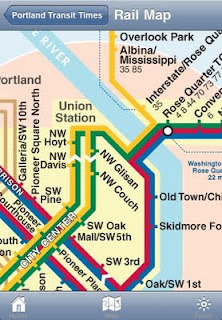 - Added interactive Rail Map with Wikipedia links and arrivals (Map Courtesy of TriMet and subject to change without notice). - Added a "Group by Trip" option to the arrivals screen. 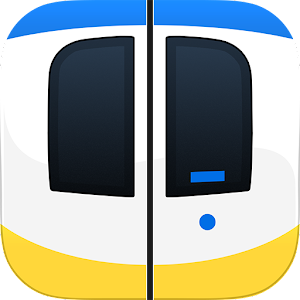 This new feature allows the user to follow a particular bus or train to see when it arrives at each of the displayed stops. - Google Maps are now launched without going through Safari. - New map and Twitter icon. p.s. I made extra sure this time that it will load on iPhone 3.0 OS, and does not require 3.1. Have you ever considered cobbling together a Dashboard widget for Mac? I'm not below begging! Either way, thanks for PDXbus. 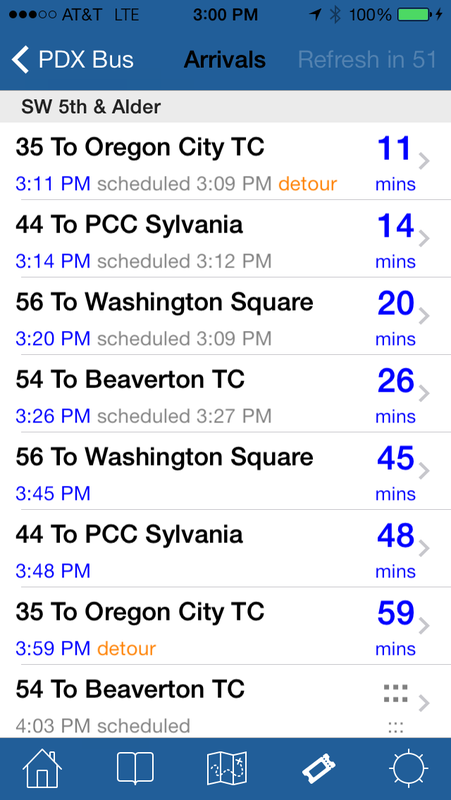 On the iPhone, it's the best way to navigate TriMet. I haven't considered writing a widget - I don't often use them. It seems that you can make a pretty good do-it-yourself widget by using http://pda.trimet.org to go to the stop you want and then use "File->Open in Dashboard..." to make turn it into a widget. Great and useful app! The interactive train map is wonderful! Any chance that in a future release, the app can show the MAX station ID (if not bus stop id for all bus stops too) when there is no internet? That way, we can still use the id number for transit tracker on our cell phone. John - in a nutshell - yes. I'll put that in the next release, version 3.6, which I have already started on. Nice idea! I assume you are using a iPod touch? Anyone having problems with the trip planner?